Microsoft and SAP are expanding their current cloud partnership to include additional support for SAP software running on the Azure public cloud. The two companies also plan to use each other’s applications internally, reports Enterprise Cloud News (Banking Technology’s sister publication). The expanded partnership coincides with Microsoft’s biggest rival for public cloud – Amazon Web Services (AWS) – holds its annual users’ conference, re:Invent 2017, in Las Vegas. Thes announcement expands on a previous agreement between Microsoft and SAP about 18 months ago that allowed Microsoft to integrate its Office 365 suite into SAP. Additionally, SAP agreed to run its HANA in-memory database on Azure. This new agreement covers internal software development running within the cloud, as well as the ability to reach customers that use both Microsoft and SAP software. The most significant part of the deal will allow SAP to run its HANA Enterprise Cloud, which is the company’s private, managed cloud service, on Azure. At the same time, Microsoft will use SAP S/4 HANA, the company’s business suite that includes enterprise resource planning (ERP), running on Azure as part of its own internal financial systems. SAP also plans to move about a dozen of its own internal business critical systems to Azure. “Building on our longtime partnership, Microsoft and SAP are harnessing each other’s products to not only power our own organisations, but to empower our enterprise customers to run their most mission-critical applications and workloads with SAP S/4HANA on Azure,” Microsoft CEO Satya Nadella says. For Microsoft’s part, the deal will allow it to revamp its internal financial operations with the latest versions of SAP’s software and database products. 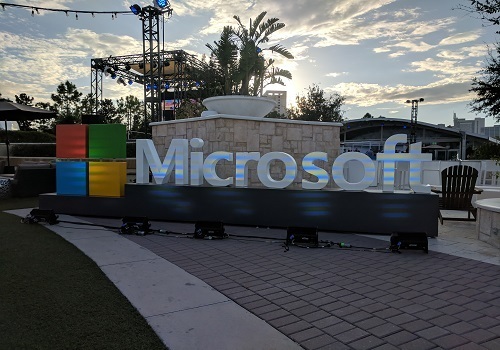 In keeping with Nadella’s theme of bringing artificial intelligence (AI) to all aspects of the business, Microsoft plans to connect its S/4HANA software to Azure AI and other analytics services to improve the internal financial reporting process. “We are taking our partnership to the next level with this new capability to run SAP S/4HANA in the Microsoft Azure environment,” SAP CEO Bill McDermott adds. The two companies are hoping to show that these internal uses can translate to gaining additional customers for their various cloud and software offerings. Microsoft and SAP already have several joint customers, including Coca-Cola, Columbia Sportswear and Coats and Costco Wholesale. Takes the company's total funding to $590 million. Ye gods!